Diplomatic sources say China didn’t want to answer questions on transparency and environmental standards. Washington: China’s efforts to project its ‘One Belt One Road’ as the panacea for the world faced a serious setback this week at the United Nations, when a coalition led by India and the US pushed back and forced Beijing to retreat. The laudatory language about OBOR inserted last year by hyperactive Chinese diplomats was dropped as more and more countries asked for details on China’s financing mechanisms and environmental standards in pushing the gargantuan scheme. The hard work of coalition building over the last two months was done by a team of young Indian diplomats from India’s permanent mission. Japan and several members of the EU joined in to raise questions and counter China’s narrative. 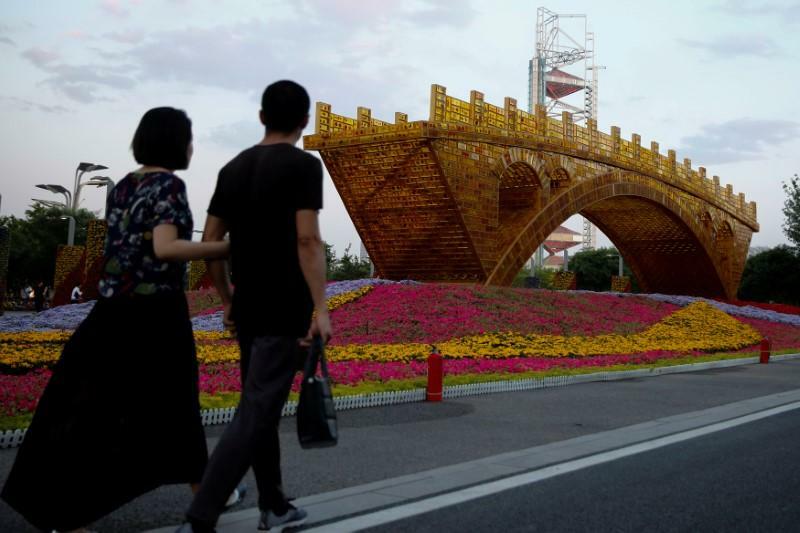 The results were there for all to see when on December 11, the UN General Assembly adopted the two resolutions minus the language used in 2016 that had essentially equated world peace with promoting OBOR. India took the lead in questioning the language, the US joined in, and the others slowly followed, including many EU members. Some in the EU are more aware or are less beholden to the Chinese than some others, making the internal debates rancorous and time-consuming. But the clear US position is important in influencing the more recent EU members who are more prone to falling under Chinese influence. 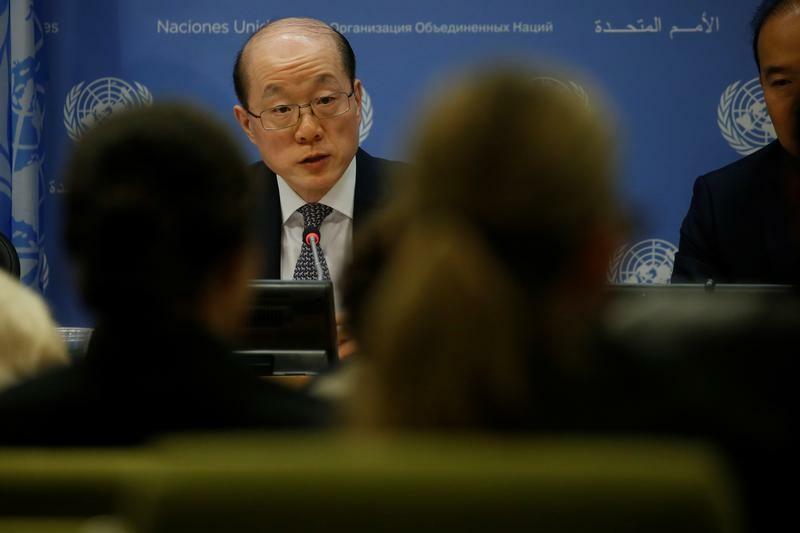 Beijing chose not to go to battle to force the issue at the UN, diplomatic sources said. It didn’t want to answer the many questions on transparency and environmental standards, or have to explain the intricacies of OBOR’s dicey finance mechanisms to well-informed UN representatives who keep up with the news. The Chinese would have been quizzed about the 99-year lease with Sri Lanka on the Hambantota port, a development that opened many eyes around the world because it is seen as a threat to the island nation’s sovereignty. India and the US were more than ready for a full-fledged debate on the merits and demerits of OBOR. China clearly wasn’t. It chose to quietly back away from a fight and let the pro-OBOR language be deleted from the two resolutions. “They got scared and ran. We know how to play the system too,” a coalition member said. Interestingly, one resolution was proposed by Pakistan, Myanmar, Laos, the Philippines and Austria and the other by Bangladesh – all of whom support or are a part of OBOR. Beijing has been working hard in and on Bangladesh, most recently helping to craft an understanding with Myanmar over the repatriation of Rohingya refugees. Pakistan is a loud votary of OBOR. The two UN General Assembly resolutions in question – one a programme of action on promoting a “culture of peace” and the other on intercultural and inter-religious dialogue, understanding and cooperation for peace – carried references to OBOR as something enhancing “understanding through constructive dialogue among civilizations,” strengthening “people to people bonds” and promoting “mutual understanding and cooperation”. But last year was a different world – many, including India and the US – perhaps hadn’t fully felt the gravity of the geo-politics behind OBOR. The references were allowed to go through, although in hindsight it appears extraordinary that a country should have been allowed to promote what is now being called a blatantly self-serving narrative. These two resolutions were not the only attempts by China to project its narrative on OBOR. Sources said they tried to insert language in other debates as well. Their hard work is remarkable because in the UN system, precedent counts for a lot – once something is agreed upon, it’s difficult to remove it. Building support within the UN, where countries are driven by different interests and where political capital is spent carefully, is not easy but Akbaruddin and his team managed to build crucial partnerships. This was the second time in a month that the India-US combine worked together effectively. In November, Washington essentially sided with India on the election of Dalveer Bhandari as a judge on the International Court of Justice against a British candidate, breaking from its traditional ally. Remarkable as it was for the US to abandon the British, the evolution of American thinking on China is more consequential from India’s point of view. A consensus is building among Republicans and Democrats that China takes advantage of the open, democratic system in the US while intimidating foreign companies to do its bidding in China. He was echoing defence secretary Jim Mattis, who had expressed the same sentiment earlier this year. The Trump administration is coming to the realisation that China is neither helping to resolve the North Korean nuclear crisis nor is it showing signs of wanting to live peacefully together. Washington appears to be opening several fronts against China, ranging from questioning its policies in the WTO to investigating Beijing’s sophisticated “influence” peddling across university campuses. It has closely followed developments in Australia and New Zealand, where China’s deep penetration of domestic politics has become an issue. The synergy of thought between India and the US regarding China has grown steadily and joint ventures such as the one the UN witnessed last week are likely to increase in number. Seema Sirohi is a Washington DC-based commentator.